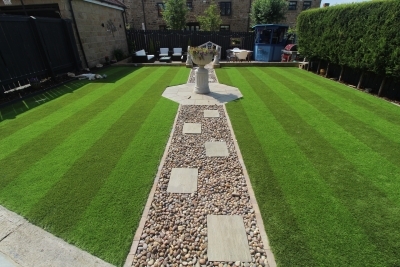 We provide homes, schools and businesses with natural-looking artificial grass in Leeds, Harrogate, London, York, Wakefield and beyond! 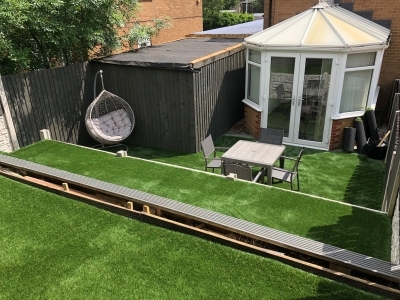 We only use the highest quality artificial grass; products which have been meticulously and rigorously tested to ensure longevity, safety and a whole host of other beneficial features. 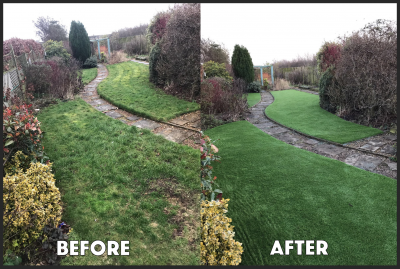 Of course, one of the main benefits of the artificial lawns we provide for our many customers is that they require virtually no maintenance by comparison to a traditional grass lawn. 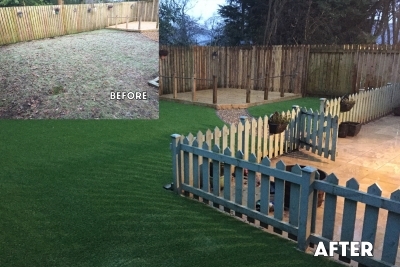 You will be amazed at how natural your new artificial lawn will look! We supply and install only the highest-quality European manufactured grass that comes in various colours, lengths and styles. Our experts are on hand 7 days a week to help advise you about the best type of artificial grass for your particular requirements. 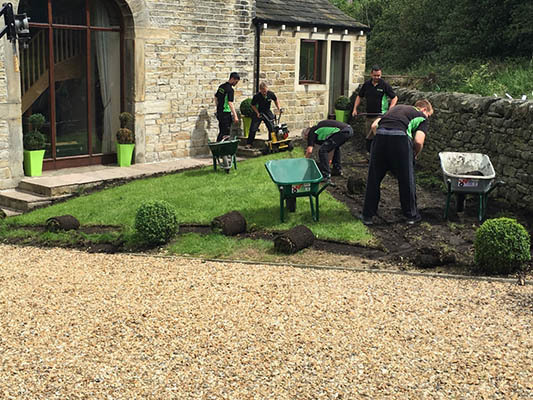 We accept all major credit cards and even offer next day delivery on purchases, ensuring your lawn can be transformed in a matter of days. 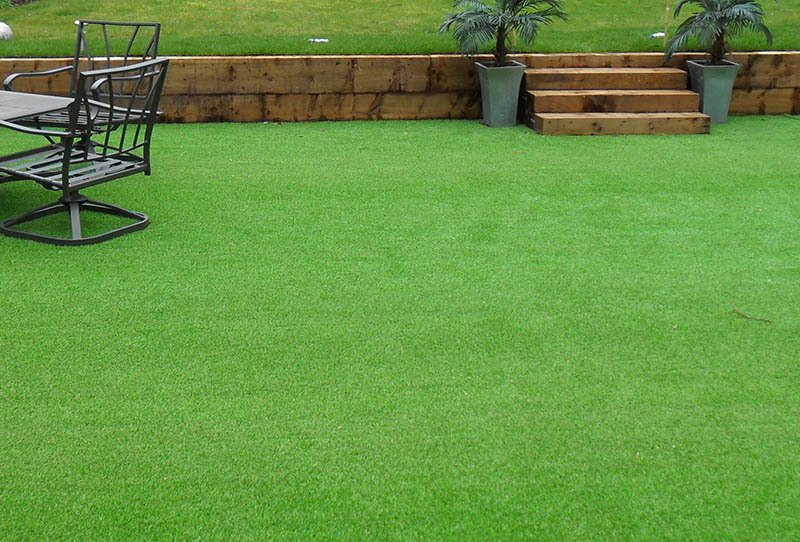 Our experienced team of professionals are experts in the installation of artificial grass. 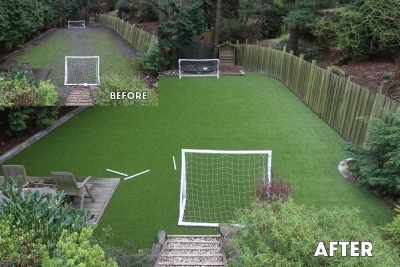 Our team has been fitting and installing synthetic grass for over 15 years. From turf cutters to diggers, we have all the tools needed to lay your perfect lawn. We can safely say we are experts within our field (excuse the pun)! We know that the key to the successful installation of artificial grass lies within providing a solid foundation on which to lay the grass. 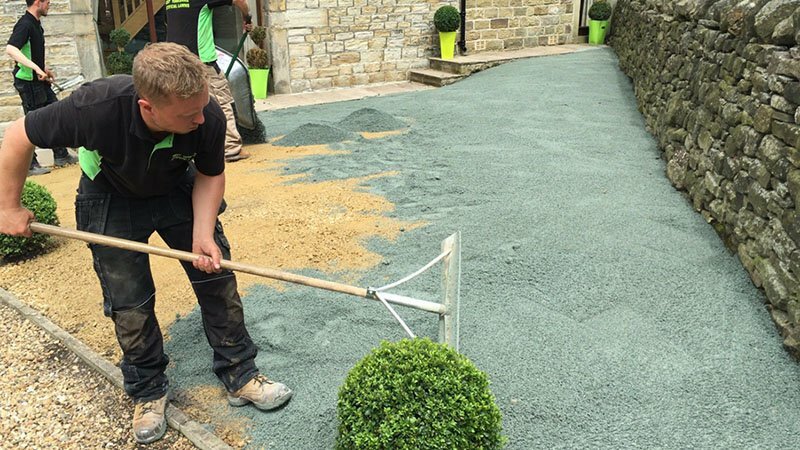 Using the correct materials to create the base is our priority in order to create a durable lawn that will last for years. We use a range of materials, including sand, granite, limestone, concrete and membranes. There are numerous stages to the base laying process to ensure that an effective draining system is installed. Amateur artificial grass installers often do not put efficient drainage systems in place which can lead to water gathering in the middle of the artificial lawn. 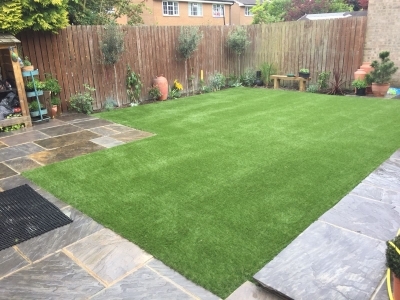 As we are so confident in the puddle-free installation expertise of our professionals, our grass comes with a 10 year guarantee on all installations. We currently sell and install 10 different types of artificial grass. 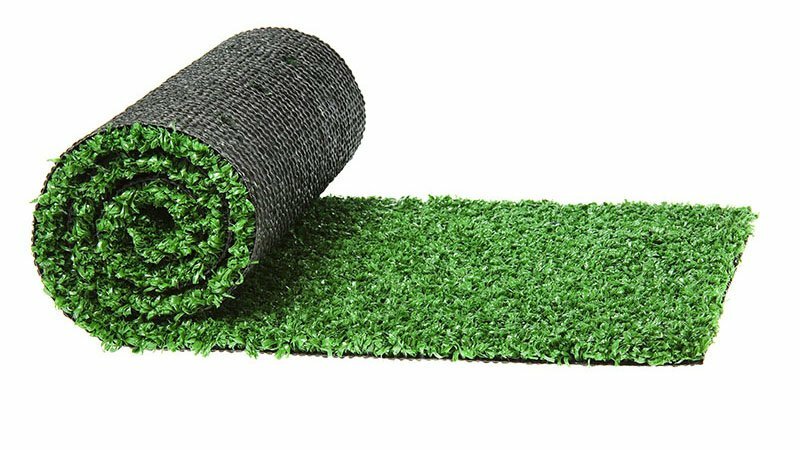 They vary in colour, types of yarn and length – meaning we have an artificial grass type to suit the requirements of your project. 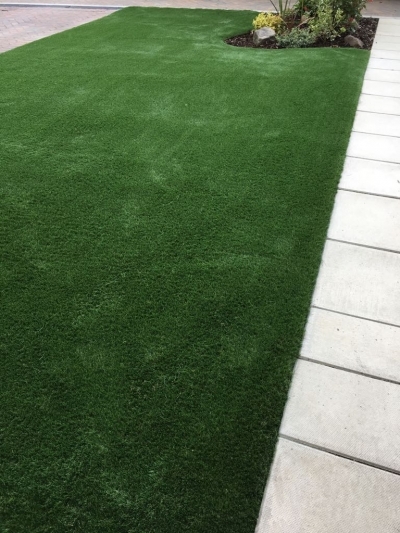 Each type of artificial grass we supply and install has its own qualities and is designed to serve a specific purpose or be a solution to a particular problem. All of our grasses come with UV protection built into every blade as standard. Our experts are on call to advise you about the best type of grass to choose depending on the main purpose of your project. Our ‘C’ and ‘W-shaped’ yarn artificial grasses are designed to make the blades of grass stand-up and spring back when they are flattened. This type of grass is ideal for gardens that are regularly used by pets and children. 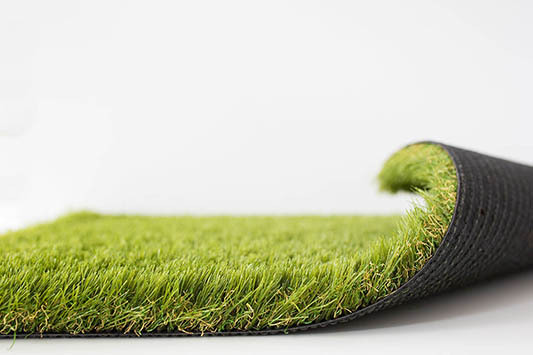 Artificial grass comes with zero maintenance. By installing artificial grass, you can eliminate the need to water the grass, mow the lawn or pull out those pesky weeds from your garden, leaving you more time to sit back and relax. The beauty of artificial grass is that wear and tear will not leave bald patches in your lawn. Heavy footfall and the acid urine of pets will not leave your artificial lawn looking lifeless, children and pets will no longer drag mud from the garden into your house. No mud means less cleaning and more time for you to relax. Moles will not be able to burrow underneath your artificial grass lawn, ensuring your garden remains looking smooth and level all year round. The sun can scorch natural lawns taking the colour out of the grass. Cheap brands of artificial grass do not have UV protection meaning the grass can start to turn a shade of blue after a few years. However, UV rays are no match for our artificial grass. 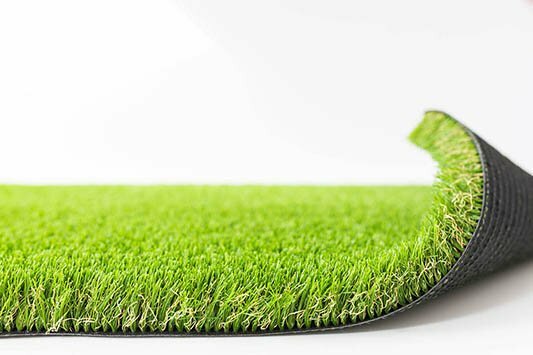 Our European manufactured grass is of the highest quality and comes with UV protection manufactured into each blade of grass. This means your lawn will be protected from sun damage and will not fade over time. We’ve installed artificial grass in school playgrounds and a number of sports pitches around the country. 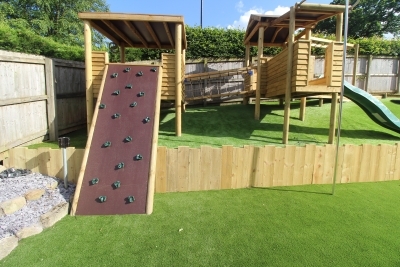 Our grass is lead free and soft making it safe for children to play on all year round. 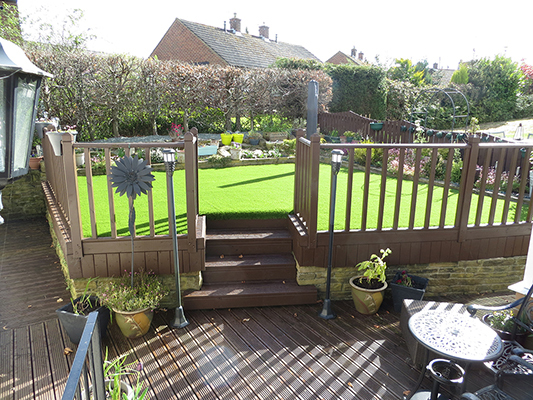 Our grass can be installed with impact matting which can help to absorb the impact of falls from heights. 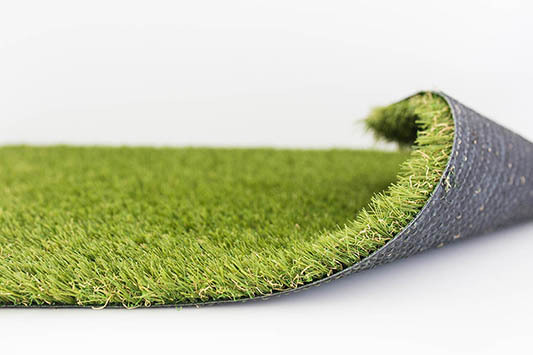 You no longer have to worry about footfall flattening your lawn with a number of our artificial grass products featuring the spring back feature so that the blades spring back up rather than being flattened. Locations Covered and Our Showrooms! 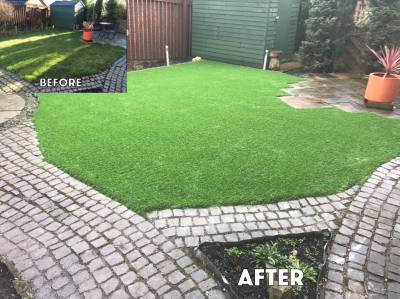 We are based in Yorkshire and install artificial grass anywhere in the country; from London to Leeds and from York to Wakefield! You can call us 7 days a week for advice on the best artificial grass to choose to suit your needs. We also provide free site surveys in order to give you an accurate quotation for the job. One of our experienced team can visit your premises to measure the garden and give you ideas about how to make the best use of your space. 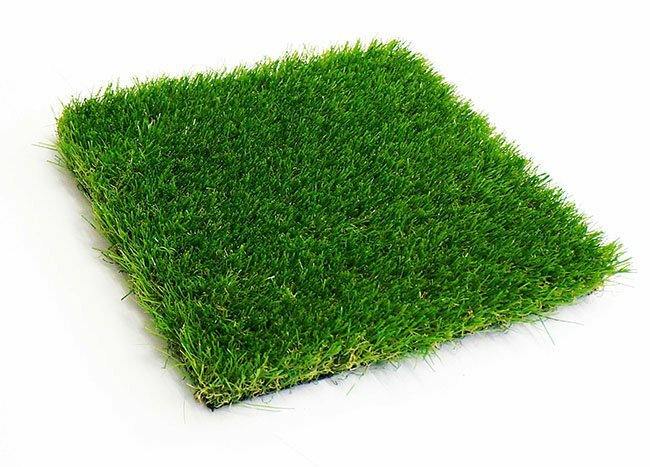 We can bring some samples from our range of artificial grasses and recommend the most suitable type for your property. If you’d prefer, we are currently showcasing our range of artificial grasses at a number of showrooms. Click below to find out where you can visit a showroom and experience our artificial grass in person! The team at Polished Artificial Grass are based in the city of Leeds and the region therefore holds a special place in our hearts. 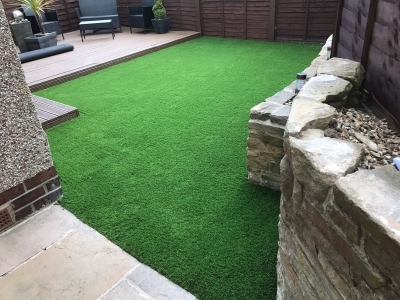 Serving the wider West Yorkshire region out of our Leeds-based HQ, we’ve installed or supplied premium quality artificial grass to many residential, commercial and education sector projects across Leeds. Click the link below to learn more about our work in Leeds. 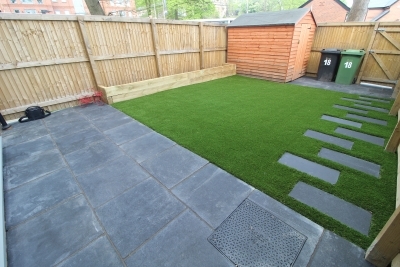 Polished Artificial Grass have many customers in the Wakefield area, both commercial and residential. Our installation team continues to do lots of work in the area largely through word-of-mouth referrals coming off the back of successfully completed projects in the area. Click the link below to see before and after photographs from the many projects we’ve completed in Wakefield. 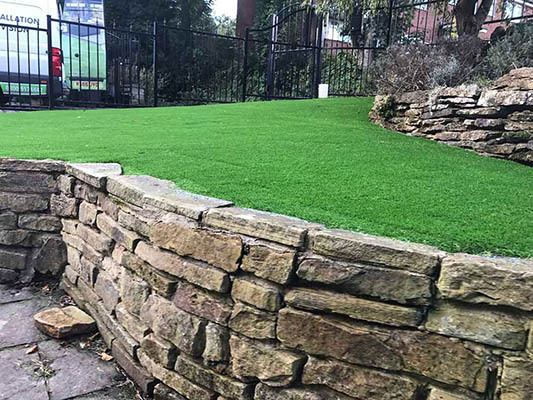 The historic spa town of Harrogate in North Yorkshire is home to many businesses, education sector establishments and homeowners who’ve turned to Polished Artificial Grass to help improve the aesthetics of their outdoor spaces. 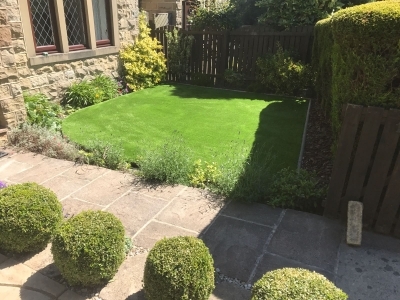 We’re proud to have helped a number of Harrogate homeowners and businesses by supplying and and fitting artificial lawns at competitive prices.